Dust mop regularly with soft, clean, lint-free mop. Tend to spills immediately. 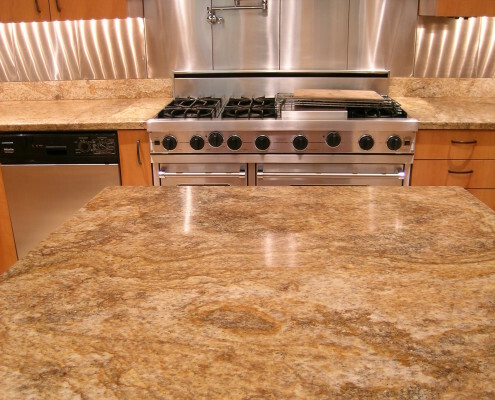 Clean your natural stone on a regular basis with warm water and a clean non-abrasive cloth, sponge or mop. What do I use as an every-day cleaner? We recommend using a neutral cleaner specially formulated for natural stone which will help remove soils that normal dusting or damp mopping leave behind. Acidity / alkalinity or even abrasives in ordinary cleansers may cause etching or scratching. Ask your local stone retailer which neutral cleaner they recommend. Squeegeeing shower walls and floors after showering removes soap and chemical residues that can damage your stone. It is critical to clean and seal shower stalls on a regular basis due to their exposure to soaps and moisture. 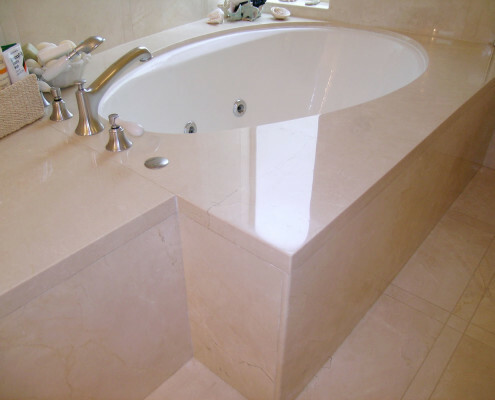 Polish, rather than wax, with a polishing system suited to your particular type of stone. 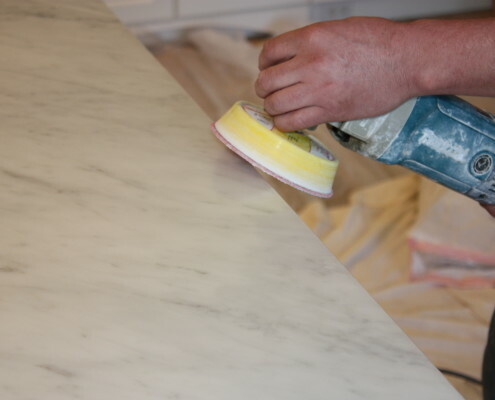 If your marble, lime stone, or any other natural stone in your home or business appears dull, stained or scratched, Marin Stone Care can restore your stone to its original beauty and luster.